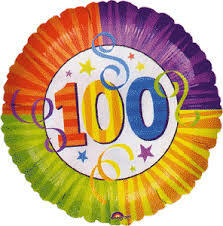 100 followers of this blog!!! Just a quick post to say: Yay I’ve reached 100 followers of my blog!! It’s such a great feeling knowing that there are 100 different people out there wanting to read what I’ve put on this blog, offering me their comments and often advice in my sometimes turbulent life as an indie author. Thank you to all of you who are following my blog, you don’t know how much it means to me to know that I have your interest in me, my blog and my writing. Having published my debut novel in August last year, it’s been amazing to have the support of my fellow bloggers, many if not most of whom are writers themselves and also on this journey. And I mustn’t forget to say that I wouldn’t have a blog at all if my husband hadn’t suggested it, so BIG thanks to him too!! I’m looking forward to an exciting 2014, when I’ll hopefully be publishing my next novel. So thank you once again and watch this space! Congratulations, here’s to the next 100. Great milestone Elaine. All the best for the next season! Ah thanks Raewyn. It’s so heartening to have people interested in my blog. That’s awesome Elaine! You’re totally worth following so I’m confident you’ll gain hundreds more this year. :) Thanks for sharing the good news with us! Oh thanks so much Chloe, it’s good to have so many positive comments from people, it keeps me going!